Nature Photographers Tasmania (NPT) and the Tasmanian National Parks Association (TNPA) have called on the State Government and its agencies, the Parks and Wildlife Service (PWS) and the Tasmanian Fire Service (TFS), to urgently seek further resources, so that critical wilderness fires in western Tasmania are prioritised, along with life and property. 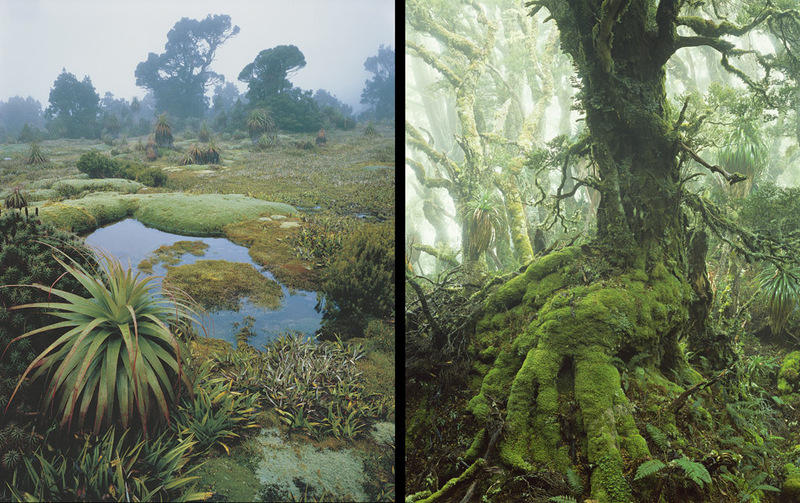 In particular, the wildfire burning at Mt Anne imminently and directly threatens ancient and irreplaceable Gondwanic plant communities, including the locations of some of the most famous images of esteemed photographer, the late Peter Dombrovskis. Mt Anne is one of the most ecologically important sites in Tasmania and supports fire-sensitive vegetation such as King Billy and pencil pines, deciduous beech and old-growth rainforest. These plant communities have not changed appreciably since the end of the Pleistocene Era over 10,000 years ago, and individual trees are well over a thousand years old. The fire threatens one of the largest surviving King Billy pine rainforests in Tasmania, which stretches in a band five kilometers long and almost 800 meters wide below the summit of Mount Anne, as well as exquisite and unique natural alpine gardens and highland rainforests. The globally significant values of these plant communities are amongst the main reasons for the World Heritage listing of western Tasmania. The loss of this crucial area would be a catastrophe. Once burnt such ancient Gondwanan vegetation is gone forever. In addition to lives and property TNPA and NPT call upon the PWS/TFS to prioritise the protection of these outstanding natural values. Because foot access in fire conditions is difficult and dangerous the most obvious means to combat the fire is through intensive water-bombing. Available fire-fighting resources from Australia and overseas should be urgently directed to Tasmania, to protect not only human communities but also this irreplaceable natural heritage. We are witnessing the outcome of 30 years of global failure to take action on climate change. Only 20 years ago dry lightning strikes in Tasmania were almost unheard of. Since the year 2000 they have been steadily increasing and in just the last week there have been thousands of dry lightning strikes, leading to scores of wildfires. The incredible natural values at Mt Anne are irreplaceable and unrecoverable if burnt. Tasmanians and Australians are the guardians of these places. To lose them on our watch would be a catastrophe of global magnitude.